Introducing our new “Client Spotlight” Series! In this series we’ll feature some of our awesome clients and give you a little insight into what they do. 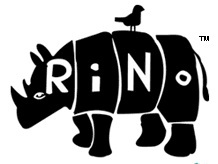 Our first Client Spotlight feature is RiNo Art District! Founded in 2005 by local artists, this north Denver art district is made up of 4 historic neighborhoods: Globeville, Elyria-Swansea, Five Points and Cole. Together with the RiNo Business Improvement District (BID) and the RiNo General Improvement District (GID), RiNo Art District funds and supports this area through advocacy, infrastructure improvements, artist support, community programming, business support, and events. Look out for their next event Side Stories starting March 1st! We love working in the creative and inviting community that RiNo Art District has worked so hard to create! To learn more and to connect with this awesome organization, visit www.rinoartdistrict.org.